When the Supreme Court split 4-4 in US v. Texas on June 23, President Obama was dealt a setback. Gone was his claim to expansive – indeed limitless – power to give aliens benefits regardless of the law. The injunction remains as the trial on the merits will now resume in a district court in Brownsville, Texas, where the Judge Andrew Hanen will continue his battle with refractory and obstructionist attorneys from the Department of Justice. 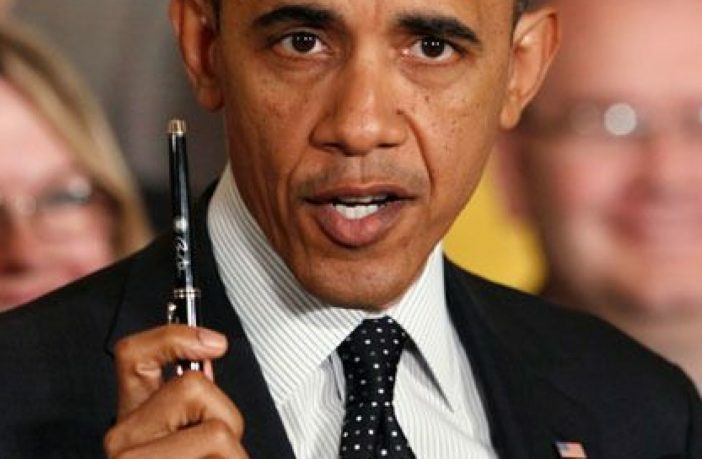 President Obama’s pen and phone were used to create new wholesale classifications of aliens who not only would never fear deportation, but would get jobs and benefits. 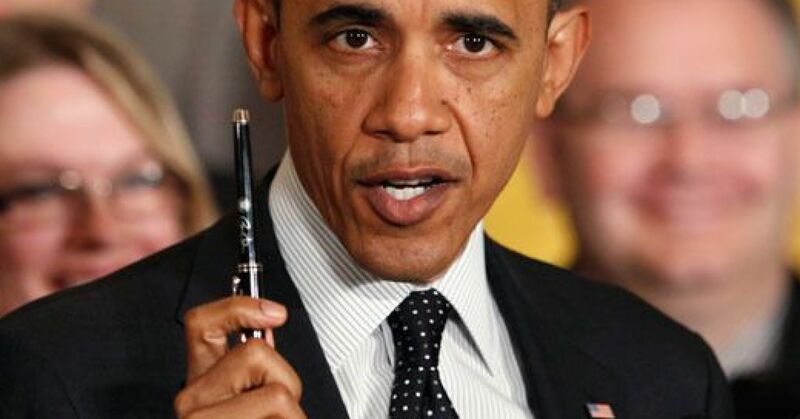 The Supreme Court grabbed his Mont Blanc and iPhone, and left him with his bullhorn. 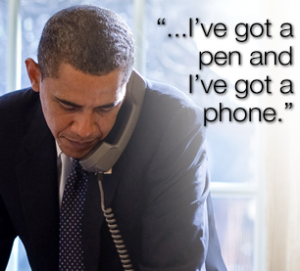 Stripped of Pen and Phone, Obama’s putting his mouth into overdrive. Yesterday we were treated with yet another boring lecture on how awful Americans are for wanting immigration controlled and borders enforced. This is offensive. What kind of leader regularly demeans, attacks and criticizes the people he is supposed to represent in front of a foreign audience? Only a powerless one, reduced to lecturing out of frustration. Not since Jimmy Carter’s late-term lectures have we heard this sort of arrogance that demeans the honest and heart-felt feelings of the people. If the president cannot bring himself to enforce the laws Congress and previous presidents have passed, then why did he take the oath in the first place? Sacrificing one’s moral and legal duty as chief executive in favor of degrading lectures, smears and excuses is no way to carry out the most basic duties of the office. That maybe the case in a few cases but not most. .My Grand-parents and 3 young uncles all came from Portugal. Where when you loaded onto the boat destined for American, you needed paperwork showing means of travel and a sponsor in America. When their boat landed in Ellis Island Papa said “We will speak no Portuguese in public, only English will be spoken. Everyone learned Englsh and became US Citizens within the 1st year here. They then traveled west to Madera, Ca. where a family dairy was started, where my dad and the rest of my ants and uncles were born . My Grand Parents on my mothers side came from Armenia. Same thing there, they learned English, became citizens and Papa became a barber, grandma stayed home to raised 4 children. They all went to public schools Boston Mass. and then moved to Fresno, Ca.. to settle. Can anyone tell me if Obama’s REAL birth certificate was ever produced? Just to add to that, if people had any communicable disease they were turned around and sent back at Ellis Island. We can’t do that with people who cross the border illegally. I have been reading that there is a lot of TB among refugee being brought in. Nor was there any expectation of government help, because those programs didn’t exist a hundred years ago. Now it’s come here, have an anchor baby and you’re on the welfare gravy train. We attracted the toughest of the tough before. Now we attract welfare recipients. Yeah, Sandy, having a tough time reading? Americans ALSO traveled here from China. people than we can deal with. He is also using them as pawns in his illegal games. No, Sandy, YOU are the disgusting one. Obama is still working on sorting out that whole ****/shinola thing. The lowlife needs to be gagged and placed behind bars, period! Maybe he should have asked the president of Mexico about these parts of the Mexican constitution. Hypocrisy much? That’s only a partial list. In this country we have one office only that cannot be held by a person born elsewhere, the presidency. Every country in the Americas is an “immigrant country”. That doesn’t mean they permit unlimited immigration. Hey, give $5, $10….$50, etc….a little money over a 100M voters goes a long way….